Shopping for the best headphones under $150 is a lot more difficult than shopping for budget options under $50. There are more good options on the market, including great products from some of the most notable brands, such as Sennheiser and Audio-Technica. We’re here to make things easier for you, especially if it’s your first time shopping for a pair of headphones with a $150 budget. In this guide, we have compiled the best choices currently out on the market, from closed-back headphones to wireless headphones. We set the price minimum to $50 for this guide, so you won’t find any of those cheap $30 headphones here. Additionally, this isn’t a ranked list; the products are simply listed according to price, in ascending order. 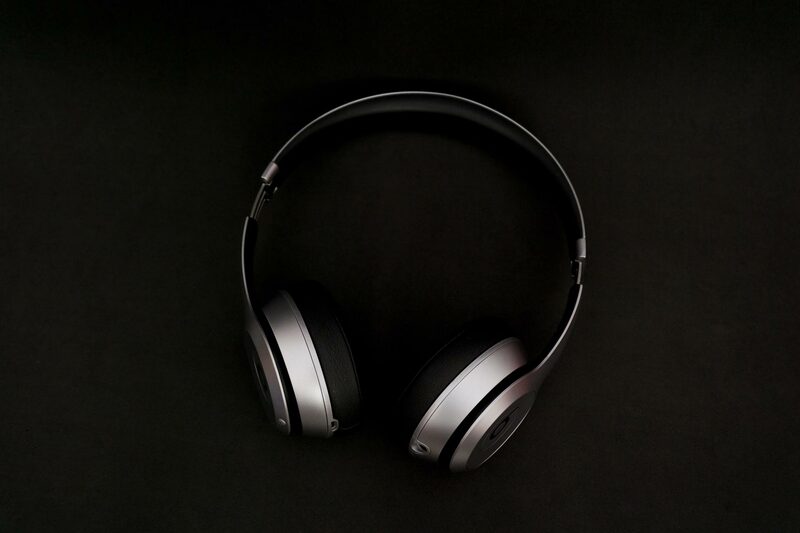 When it comes to headphones, Sennheiser is one of the best in the business, offering a wide selection of products, from gaming headphones to studio headphones. The Urbanite XL is one of the company’s more affordable options, selling for just around $70. It’s a stylish pair of over-ear headphones with a closed-back design, featuring decent noise isolation and a great-sounding bass. Made of quality components, the Urbanite XL has an easily foldable headband, which makes it easy to store and carry for everyday use. It has a detachable cable with a locking mechanism, making it more secure when in use while on the move. The cable has in-line controls for convenience and an integrated mic. Sennheiser offers two versions of the wired Urbanite XL: one for Apple devices and one for Samsung Galaxy devices; the product listed here is the former. If you can afford to stretch your budget all the way to the max, the German company also offers a wireless Urbanite XL, which sells for just a hair under $150. The Skullcandy Hesh 3 are affordable wireless headphones capable of running up to 22 hours on a single charge. They are closed-back, over-ear cans with an understated monotone finish, with several color options, including black and red. Like the Sennheiser Urbanite XL, these headphones are foldable, making for easy storage and transport. The Hesh 3 boasts a lightweight design with memory foam ear cushions, making it comfortable to use for long stretches, like during a road trip. As with other wireless headphones, the controls are on-cup for quick access. It also works as regular wired headphones, courtesy of the included standard audio jack. Concerning overall sound quality, the Hesh 3 is good, although some might find the booming bass too overwhelming. It’s good for listening to music and watching movies, but serious audiophiles might want to look at other products. When you buy the Hesh 3, make sure to pick up a headphones case as well, as unlike with the Sennheiser Urbanite XL, there’s no carry case included. The JBL E45BT are wireless headphones with an on-ear design, making it more breathable than a pair of over-ear headphones. It has a good build quality, featuring a flexible headband, well-padded ear cups, and responsive on-cup controls. JBL offers different colors for this product, including red and blue. Selling for under $100, the E45BT has a closed-back design, but the noise isolation is unimpressive, making it unreliable in a crowded environment. It’s got good portability, featuring a foldable design, and boasts an impressive battery. It can run for over 20 hours on a single charge and requires just around two hours for a full recharge, making it a good companion when traveling. Although its lightweight frame and breathable design are notable, the E45BT is not recommended for running and workouts with a lot of movement. It’s secure enough on the head during regular use, but for intense workouts, it will slide off more easily. On a more positive note, the E45BT has good sound quality for the price, featuring a well-balanced sound with a great bass. Some headphones work really well for outdoor use. Other products are best suited for home or studio use. The Grado SR80e falls in the latter category, mainly due to its open-back design, which translates to poor noise isolation. It’s best used for critical listening. The SR80e are wired on-ear headphones, featuring good bass and mids but subpar treble. It has an attractive classic look with an all-black finish. Unlike the other products above, the SR80e is not easy to transport despite its lightweight design: the headband is not foldable while the cable is not detachable, both of which can make carrying it a hassle. As mentioned, these on-ear headphones are best used at home or in the studio. If you’re in the market for reasonably priced open-back headphones specifically for critical listening, the SR80e is a solid option. It has a decent build quality overall. It’s durable enough to survive accidental crashes and has a comfortable headband. But be careful when moving around while wearing it, as it’s not the most stable pair of headphones. The HD 4.40BT is another great offering from the Sennheiser. Unlike the Urbanite XL, this one is wireless, making it more ideal for everyday outdoor use. Selling for around $100, the HD 4.40BT are over-ear headphones with large ear cups that comfortably wrap around most ears. The cups are well padded and are breathable enough for extended use. Compared to the Urbanite XL, the HD 4.40BT has a more minimalist design, featuring an understated monotone finish. It has a foldable headband for easy carrying and a set of on-cup buttons for convenience. It pairs easily with compatible devices, has good wireless range, and boasts a 25-hour battery life. In terms of sound reproduction, the HD 4.40BT is good but not spectacular. It has a nice, punchy bass and can produce clear vocals. It’s got good noise isolation, which makes it a suitable pair of headphones in a crowded environment, like when commuting via train. While it’s comfortable on the head and has a good clamp, we don’t recommend it for sports use. Like Sennheiser, Audio-Technica is a brand that needs little introduction, especially among audiophiles. Of the Japanese brand’s products, the ATH-AD900X stands out as one of the best under $150. They are open-back headphones with an attractive design, featuring a headband that easily adjusts to all head sizes for supreme comfort. The ATH-AD900X is a pair of wired headphones built for indoor use. It has well-padded, breathable ear cups, making it comfortable for extended use. It has a non-detachable cable, which might disappoint some people. While it appears to be premium due to its design, the ATH-AD900X is a bit fragile, so be careful when moving around while wearing it. Concerning sound quality, the ATH-AD900X won’t disappoint you, assuming you know what to expect from open-back headphones in this price range. It’s great for listening to music, courtesy of its more natural sound. Although it has a nice bass for open-back headphones, those who listen to bass-heavy music might find it disappointing. In addition, it’s got poor noise isolation, which isn’t surprising considering its open-back design. If we had to rank all the products here based on sound quality alone, the Beyerdynamic DT 770 PRO would be tied with the Audio-Technica ATH-M50x for first place. It’s a superb pair of headphones with fantastic sound reproduction, featuring an excellent bass and an even better mid-range performance. Even audiophiles will be impressed by these headphones. The DT 770 PRO are closed-back, over-ear headphones with a rather bulky design, making it unsuitable not only for commuting but also for gym use. It has a sturdy construction, as expected from a Beyerdynamic product, featuring fabric-coated ear cups and a rigid headband. The large ear cups will easily fit around most ears and provide decent noise isolation. Considering its excellent sound quality, it’s tempting to use the DT 770 PRO while commuting and at the office. However, its design makes it unsuitable for both. In addition to its size, the fact that it is wired and lacks in-line controls make it impractical for commuting. And its sound leakage issue at high volume, while not a deal-breaker, makes it unsuitable for office use. As advertised, the DT 770 PRO is best suited for studio use. It works extremely well in that area, although its initial clamp tightness makes it uncomfortable to use for long stretches at the onset. Once it loosens up after significant use, it’s a lot more comfortable to wear for extended periods. The Sony MDR-7506 is one of the most popular headphones on the market. It’s got the versatility to perform well in different applications. It has a great mid-range performance and offers a powerful bass. While it has a subpar noise isolation, it does a great job at keeping sound from leaking out, allowing you to keep your weird taste in music to yourself. A pair of over-ear wired headphones suitable for indoor use, the MDR-7506 has a closed-back design. It has large ear cups that can easily wrap around most ears. The cups are well padded, though the padding feels a bit cheap, especially considering the price. It has a non-detachable cable and is foldable, which makes it easy to pack for travel. The MDR-7506 is comfortable to use for long stretches, courtesy of its lightweight design and comfortable ear cushions. It has the right amount of clamp and doesn’t get hot very fast. However, this pair of cans is not suitable for sports use. It will easily fall off your head when you are running or doing intense workouts, not to mention its long, non-detachable cable can get in the way. The Sennheiser HD 598SR is an excellent pair of open-back headphones. It’s a bit more expensive than the Sony MDR-7506, but compared to that, it looks and feels more premium. It has an over-ear design, featuring large cups with luxurious padding and a metal-reinforced headband. It’s exceptionally comfortable to wear for hours and has an excellent build quality overall. Suitable for listening to music as well as watching movies, the HD 598SR has superb audio reproduction, featuring a great-sounding bass. It’s great for different kinds of music genres, including heavy metal, rock, pop, and disco. Keep in mind that, due to its design, it has sound leakage issues, so people around you are definitely going to hear your music. The HD 598SR is best suited for home use, and there are a couple of big reasons for that. First, it has poor noise isolation, which means you can’t rely on it to drown out office chatter and the sounds of vehicles while commuting. And second, it’s not very portable, no thanks to its size and non-foldable design. Often considered the best headphones under $150, the Audio-Technica ATH-M50x is a pair of closed-back cans with a fantastic sound quality. It has an excellent bass and great vocals reproduction and is a recommended option for critical listening. While its rather dull design isn’t going to impress most people, it’s well-built and offers excellent long-term value. The ATH-M50x are wired headphones with a comfortable over-ear design. It has large, well-padded ear cups with a swiveling option for one-ear monitoring. The large ear cups will fit around most ears, but don’t count on the ATH-M50x for superior noise isolation. It’s decent at best on that front, considering there’s no active noise-canceling technology. Although its foldable design makes it easy to pack, the ATH-M50x is not recommended for commuting. It is too impractical for that, no thanks to its size and wired design as well as its lack of in-line controls, and then there’s its decent-at-best noise isolation. The ATH-M50x is best used while indoors, but not when working out or doing other things with a lot of movement. It’s also fairly decent for watching movies and gaming, though its wired design means you need to sit close to the TV or monitor.